Getting signed as an independent artist – is it for me? 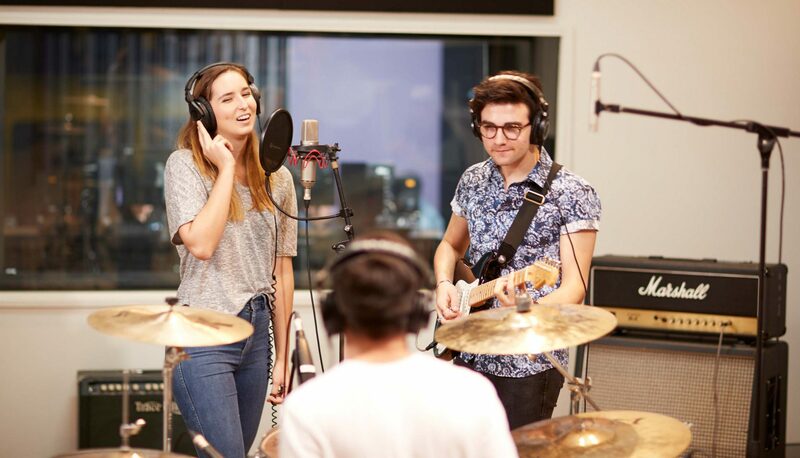 Head of JMC’s Music course in Melbourne, Chris Pickering argued that “Often one of the best ways of learning how the music industry works is to do as much of it yourself so you can get a multitude of experience across all aspects of the industry. If you can be successful as an independent artist by building up your own fan base, then you are likely to be in much better control of your own artistry, and your output. Having started the company without a clear plan, no formal training and being just 23 years old, I think I missed the memo of just how much you may have to compromise to be a business owner. Chris went on to describe however that if you do get the opportunity to be signed by a record label, “In order to protect your own work from bad deals, make sure you have a lawyer look over everything put in front of you before you sign anything – especially if it is a publishing/recording/development deal. At JMC Academy, Contemporary Music Performance students and Entertainment Business Management students are taught how to market, distribute and do all of the business aspects of the music industry to enable them to succeed independently as an artist. However, they are also talked through the various contracts you could encounter to help choose the best contract for them if getting signed is the route they choose.